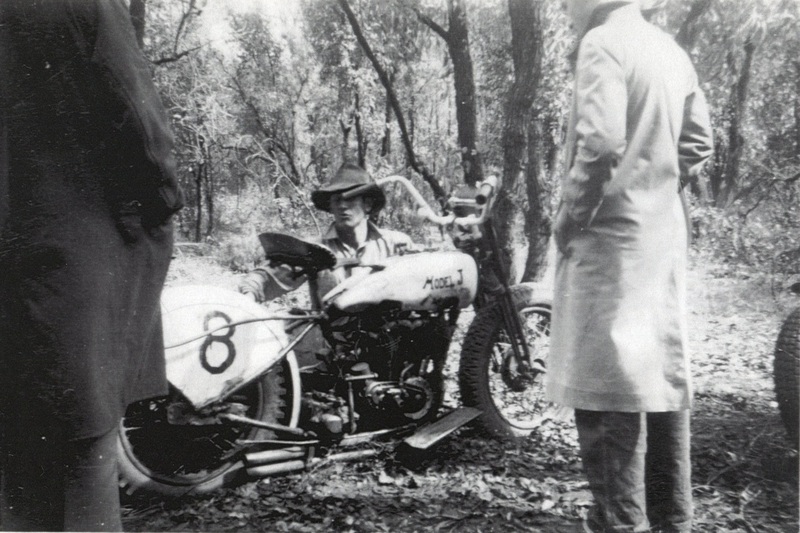 Brooklands scramble track was built in the Perth suburb of Shenton Park. 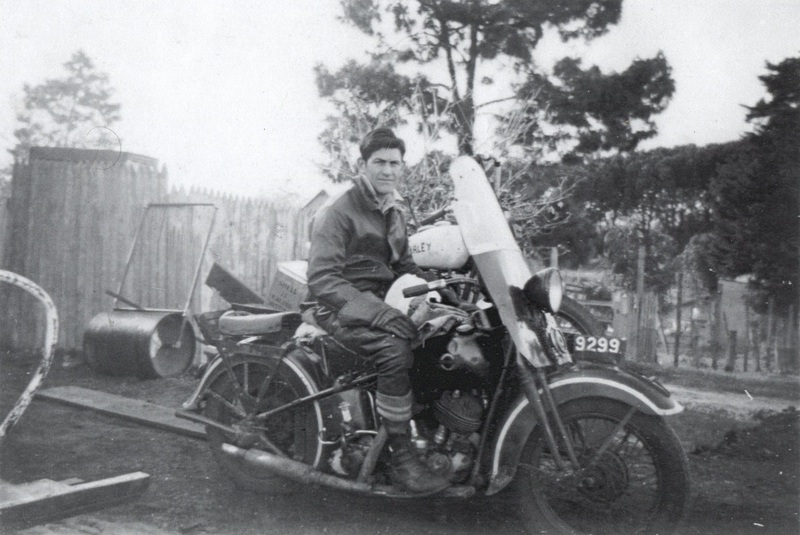 John was a local Perth boy who raced at many of the Perth metro and the outlying county tracks, He competed in both the solo and sidecar events on his machines that he built up himself in the shed. 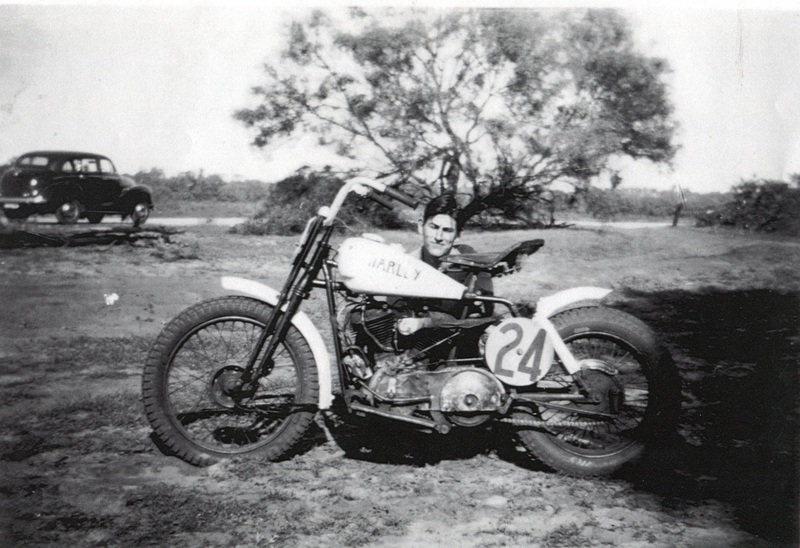 John's nick name "Harley" was gained through his passion for the Harley Davidson motorcycle that he always raced on. 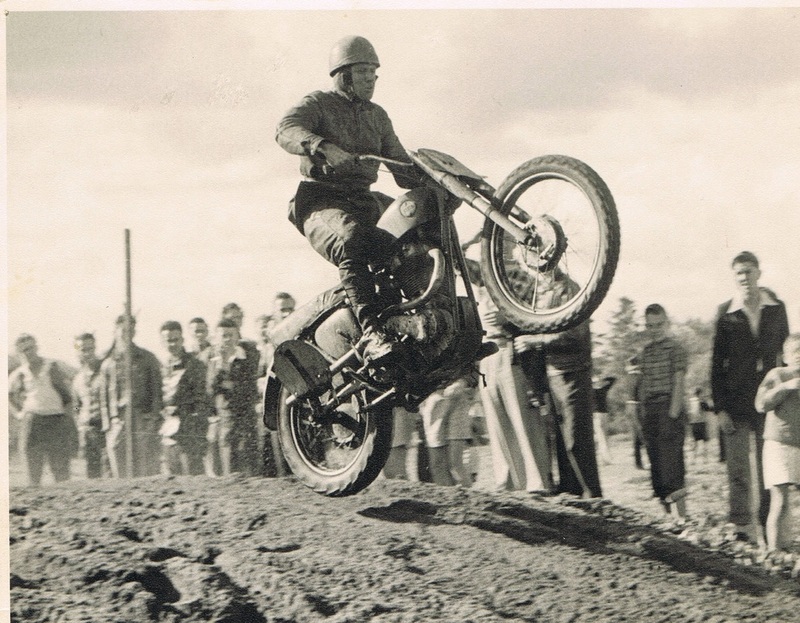 Murray George pictured here on a 500 Ariel was considered to be one the top riders at the time. 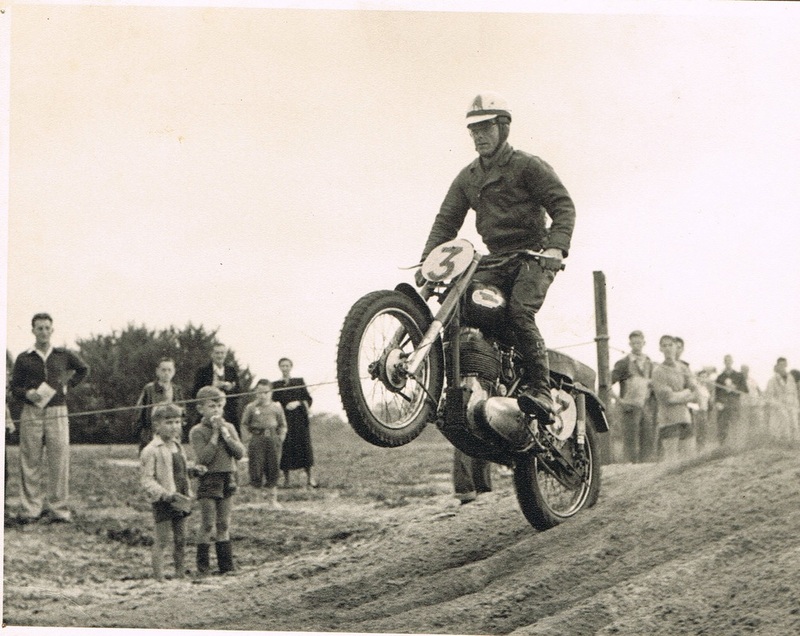 George Scott was a true champion in every aspect of the sport of motorcycle racing, Admired not only by the crowds of spectators every were he raced but also the other riders. Don Collins a champion in his own right concider's Scott to be the best.